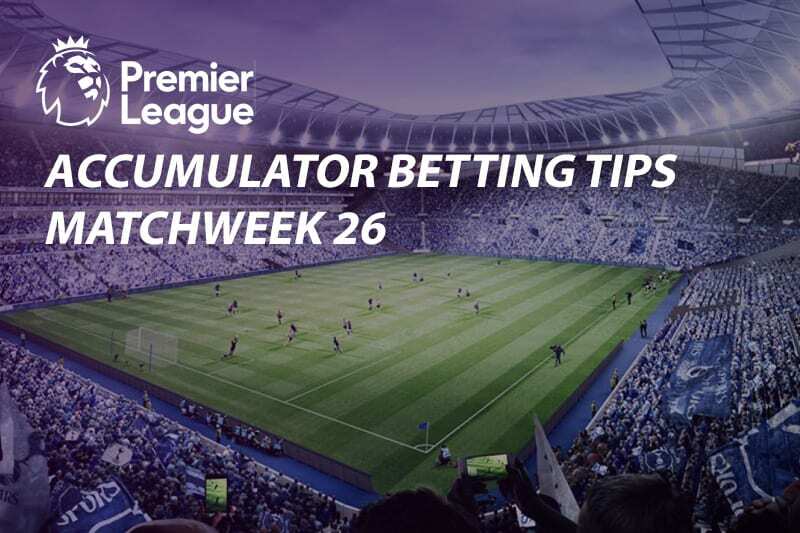 Match Week 26 of the English Premier League promises to deliver an entertaining set of matches, as the top sides will be looking to make an impression ahead of the knockout phase of the UEFA Champions League scheduled for next week. 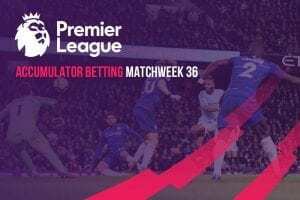 Our first feature match of the weekend, Saturday’s midday kickoff, will see in-form Manchester United take on Fulham in London, while Arsenal will be away to Huddersfield Town in the 3pm kickoff. Liverpool, who dropped points after a Monday night draw with West Ham United, will be looking to regain the serenity of first place when they welcome Eddie Howe’s Bournemouth to Anfield in another 3pm kickoff. Sunday’s fixtures will be a treat, where Tottenham Hotspur will play host to Leicester City in an early kickoff. The second and final match of the day will pit champions and league Manchester City against fifth placed Chelsea at the Etihad. Manchester United will be hoping to extend their 10-match unbeaten run in all competitions when they make their way to Crave Cottage for a Premier League bout with Fulham. The Red devils have been on a thrilling run since the appointment of Ole Gunner Solskjaer as interim manager midway through December; churning out nine wins and a draw. Despite dropping two vital points against Burley a little over a week ago, United made a great deal of their top four intentions by securing maximum points on the road against a Leicester City side that salvaged a point from Anfield last week. A huge statement of intent against a relegation threatened will suffice this weekend; so much for their top four ambitions as it is for their warm up ahead of welcoming Paris Saint-Germain on Tuesday night in the Champions League. Even without taking the European encounter into account, Solskjaer’s United will unequivocally push for a win, as three points could see them creep into the top four given Chelsea’s test with Manchester City. Unai Emery will rally his charges to show their true character when Arsenal plays against Huddersfield Town at Kirklees Stadium on Saturday afternoon. Arsenal, not for the first time this season, showed their feeble face against a top four side when they were drubbed 3-1 away to Manchester City last weekend. The defeat saw the Gunners relinquish their place in fifth, as they were leapfrogged by Manchester United who are now two points clear. Arsenal however look destined to secure maximum points against bottom-placed Huddersfield who haven’t scored a goal in their last five games in all competitions. Liverpool looked poised to go seven points clear at the top of the table barely a fortnight ago. Now, the Reds are level on points with Manchester City, but behind the champions on goal difference, after dropping four points by drawing with Leicester City and West Ham United. 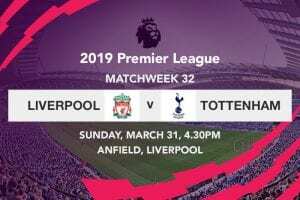 This makes their match against Bournemouth a crucial acid test, as it will determine whether the 18-time league winners are ready to end their staggering 29-year spell without a league title. Despite playing on home turf, Jurgen Klop’s charges shouldn’t expect a walk in the park against Eddie Howe’s Bournemouth. In fact, Liverpool should be wary of the visitors, given the Cherries’ blistering pace on the break. Tottenham Hotspur will welcome Leicester City to Wembley on Sunday afternoon in the Premier League. Mauricio Pochettino’s side is only five points behind City and Liverpool, meaning they aren’t entirely out of the title race—thirteen games to the close of the season. Although both teams have parallel aims for the season, the game certainly looks like one to leave you at the edge of your seat. The most high profile match of the weekend will have Manchester City lock horns with Chelsea at the Etihad on Sunday afternoon. 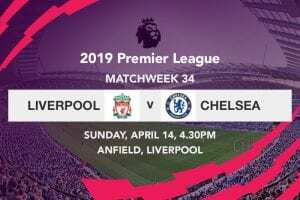 A win will ensure City retain their place at the summit of the league given their superior goal difference, while three points for Chelsea will undoubtedly place them on course to maintain their pursuit of a top four finish. Being that Guardiola had to patiently wait for Liverpool to slump in order to get back into the title race, the sharp-witted manager won’t be putting his fate in someone else’s hands this time round.